We are one of a few schools in Aberdeen to have been invited by Education Scotland to try out a new way of including children and young people in school improvement. Children applied for the post of young leader of learning and were invited to interview. Ms Baxter had a very hard job choosing only 8 children from all the applicants. We have 4 Leaders of Learning with 4 reserves. it is a real opportunity to contribute to school improvement. 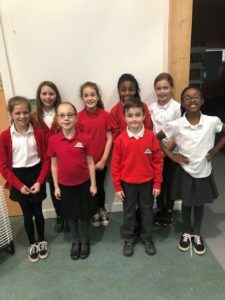 All 8 children will attend Young Leaders of Learning at Bridge of Don Academy tomorrow with children from other schools participating in the programme. More information to follow about this exciting opportunity!